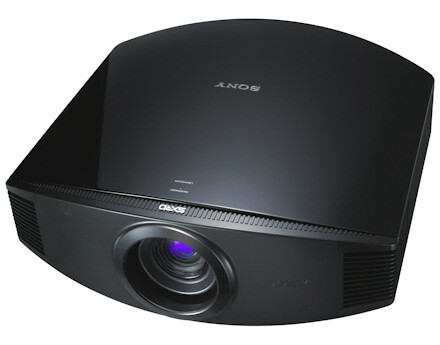 Sony, the leader of 3D technology, brings it home to you with their new top-of-the-line VPL-VW90ES projector. The active-3D VW90ES supports the common 3D formats, side-by-side, over-under and simulated 3D. This amazing projector not only gives you an excellent reproduction of your favorite 3D movies, but can also transform your two-dimensional content into eye-popping 3D! The VPL-VW90ES is the first projector that boasts Sony's long-respected 'ES' name (Elevated Standard) as well as being Sony's first 3D projector. This 1,000-lumen, 1080p SXRD projector sports a 150,000:1 dynamic contrast ratio with Sony's 3rd generation Advanced Iris. The VW90ES is powered by the BRAVIA™ Engine 2, a video processor that works Sony's custom digital magic to enhance the overall image quality and optimize contrast, producing spectacular 2D and 3D images. The VPL-VW90ES uses Sony's latest 1920x1080 SXRD (Silicon Crystal Reflective Display) panels that have well over twice the native contrast of their previous model, the VPL-VW85. That's what gives the superb images created by this projector incredible depth and three-dimensionality. The VW90ES's 200-watt UHP lamp delivers 1,000 lumens so it can be used almost anywhere when paired with the right screen (although a special screen is not required to view 3D). One of the best features of the VPL-VW90ES is Motionflow™ with dark frame insertion technology. Motionflow removes the image judder and shake in fast moving images like sports and action movies, giving you a smoother, more natural picture. Even better, Sony included anamorphic scaling IN VW90ES which can be used with a Panamorph lens to get rid of those annoying black bars on most movies and deliver the full impact you'd expect only from the local movie theater. If you haven't heard how incredible an anamorphic front projection system can be, take a look!